Just the right weather - every day. When is the right weather for your activities? Activty Weather knows it with just a few settings. Hour by hour, day by day, the app shows you when you can do which activity best. 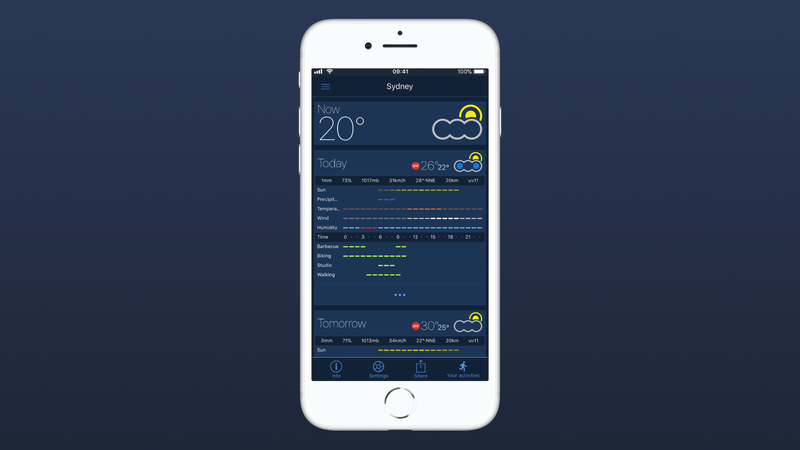 Simple and with just a few settings you can set the weather conditions for each activity – the app does the rest and displays it in a nice, clear and concise way. 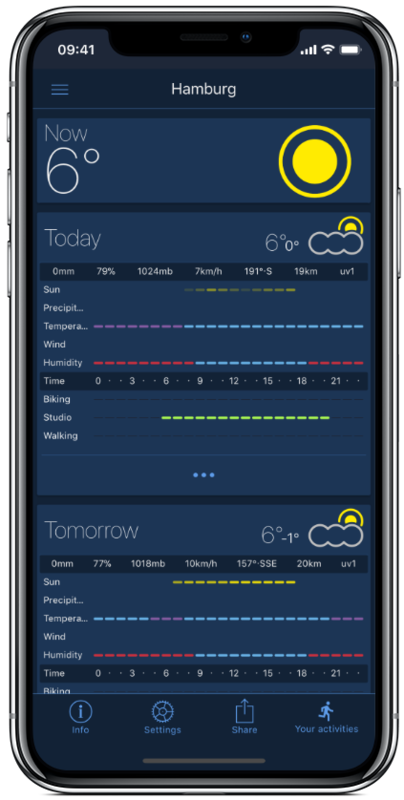 Of course, Activity Weather also informs you about the weather: charts, bars, beautiful icons and detailed data gives you a forecast of the next 10 days. What do the weather symbols mean? What do the color bars mean? Can I sync my devices? Syncing across devices and platforms is coming in one of the next updates. 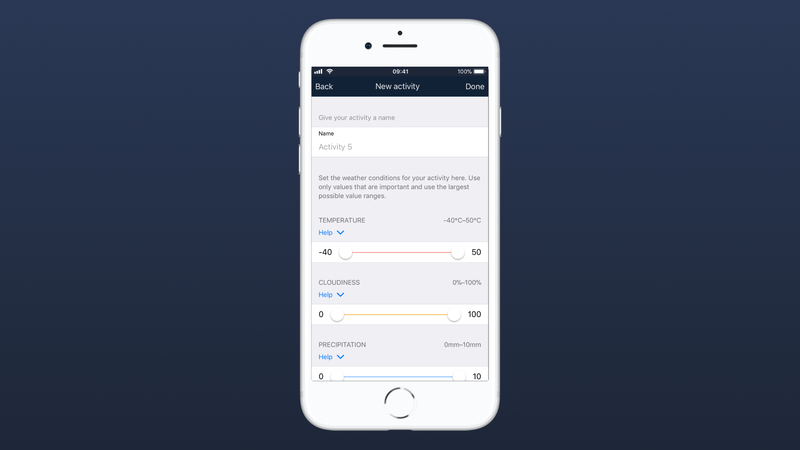 The app «Activity Weather» does not collect personal or location related data.